The new course has a start and finish at Arholma Pier, close to the Dansbana and the Lanthandel. The course is under development and will be confirmed in spring 2019. The course will cover just over 21 km of running and 5 km of swimming. 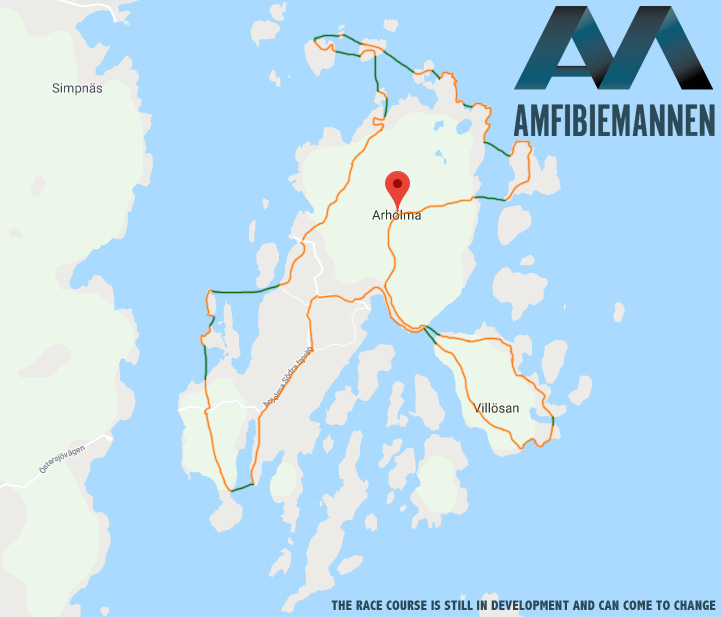 The idea of ​​the course is that the swimrunners will share our unique outer archipelago of Stockholm without interfering with nature and wildlife. We race through unobstructed terrain in forests, along small paths, on the gravel roads of Arholma, across cuttings and rocks, under ground, in fortress, across the fjords and over the open sea.